On/Off Campus Placement Eligibility Criteria 2019: Someone Said “Preparation is the key to success” but we say before preparation it is more important to know that, Are we eligible to go through for whatever we are preparing ?? This article is having on campus and off campus placement eligibility criteria 2019 for all the MNC companies. So it become even foremost that we should know the eligibility criteria and all the basics related to our preparation. Here in this article we will discuss about on campus and off campus placement eligibility criteria for BE-Btech Fresher students. Now a days candidates are bothering about college placement and it is pretty obvious because employment and creation of jobs are not even close to parallel. Many MNC companies are not accepting applications, if the candidates are falling less than 60% aggregate in final year or all four years of BE-Btech. Therefore it becomes essential to maintain aggregate 60% and more in BE-Btech with no reappears pending. Below is the On/Off Campus Placement Eligibility Criteria for BE-Btech Fresher of top MNC recruiter Like TCS, Infosys, Cognizant, Wipro, Siemens, TechMahindra, Accenture, HCL, Dell, Hp, Lenovo , NIIT Tech, Mindtree, etc. and many more companies we will updates in near future. Candidates should have excellent communication skill. Should have basic knowledge of technical field. Max of 2 backlogs / Reattempts in your Under Graduation. Sometime Wipro demands 65% also. NO Backlog(s) are allowed on time of joining. 60% in 10th, 12th & Engineering throughout. Sometime CTS keeps the 70% throughout totally varies college to college. Good aptitude and reasoning skills is required. We don’t have any defined set of procedures for off campus drive moreover it is company call, how they want it. sometimes registration is done online and sometime it is just on the spot registration. After successful registration you need to reach the drive location well in before mentioned time. And also you need cross verify with given contacts about the process and other details that are mentioned on the source website or portal. 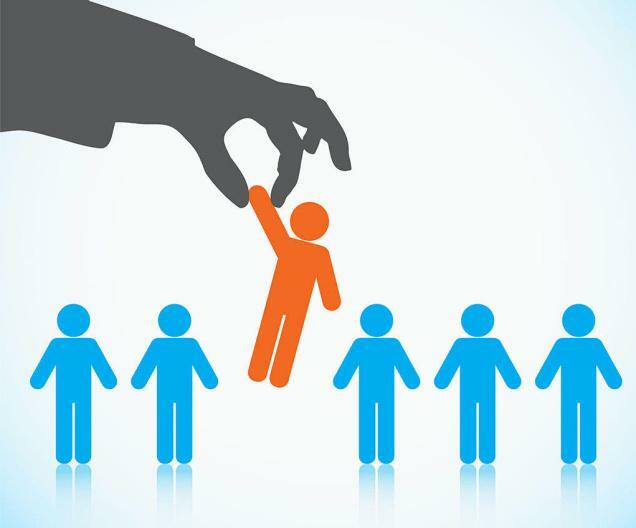 We are lined up and updating most recent On/Off Campus Placement Eligibility Criteria of all the reputed companies but still you need to know about recruitment Eligibility Criteria of any company just drop the name in the comment box we will update you in sort while. There are bunch of companies which allows the reappears but when you complete your degree and going to join the company that time you must clear all the arrears. i am going to pass out in 2017 engineering batch. i need to know what are the companies can recruit the candidate without eligibility criteria of 12th mark. Sir I am student of stream ECE of final year,my %age in btech is 70,in 10th is 78 but in +2 is 59 ,so please tell me am I eligible for MNC? Yes, You are eligible for most of the Multinational companies but some companies looks for 60% throughout (means 10th,12th and graduation). last year Accenture is ask only current 6 cgpa in degree but this time i think Accenture is ask agree gate 60% in your 10th 12th as well as degree. so please verify the criteria for this year campus placement in Accenture. Dear Lokesh, Accenture will consider both Academic & Graduation Percentages. And yes applicants needs to have minimum have 60% in all academic records. Yes, You are eligible for Tech Mahindra on Campus/ off campus drive however in few circumstances Tech Mahindra may look for 70% throughout (means 10th,12th and graduation). sir i have 87% in 10th and 82% in 10th+ 2 and 59% in BE i m eligible for mnc companies???? sir i am astudent of branch EE of final year…my %age in Btech is 70,10th is 71.87 but in +2 is 50.so please tell me sir am i eligible for IT companies like infosys,wipro,HCL ETC AND MNC. Yes, You are eligible for HCL, Infosys, Wipro and other Multinational companies but in few circumstances these companies looks for 60% throughout (means 10th,12th and graduation). Sir I am a student of BTech final year with 65% in 10th 73%. In 12th and 60% in BTech but I am 1 year down am I eligible for mnc’s given above . Sir,my class 10 and 12 has 72% and 53% and btech 6.68 .can u pls provide me some company’s name.where I can eligible. sir , i am student of IT final year(pass out in 2017) , my % in 10th -67% and in 12th-75 and in graduation i have 60% (till 6th sem ) and i also have 1 current backlog. is there any company(mnc) which allow me for registration(job)?????? if there then mention sir , if not sir then guide me what should i do ??? sir I’m the student of ise I’m having 65% aggregate in BE but 59.5% in puc. So please tell me sir am I eligible for IT companies. Sir I am darga I hv ,10th68.8,%,diploma 75.6and ,b tech 6.75gpa UpTo 6sem remaining 2sem are their I Will cover for the 75% btech but I will goto present placement for Infosys company ? sir,i m a b.tech fina year student of ECE branch scoring 86.42 %in 10th, 59.33%in 12th…n now a sgpa of 7.8 overall. for which companies am i eligible for ? You will be eligible for all the companies who are looking for candidates having 12% below 60% (percentage criteria). Sometime Cognizant, TCS, Wipro and Infosys gives relaxation of 5% in 10th and/or 12th and/or graduation, in this case you will be eligible. Sir i secure 59.6% in 10th and 66.6% in 12th and my cgpa is 73% .can I appear for Infosys,wipro,TCS?plz give me a suggestion ?? Yes you can appear for TCS, Wipro and Infosys but only in certain circumstances in which these MNC are hiring below 60% in 10th Class. Sometime TCS, Wipro and Infosys gives relaxation of 5% in 10th and/or 12th and/or graduation, in this case you will be eligible. Sir I am a student of BTech final year with 65% in 10th 68% in 12th and 70% in BTech but I had 2 years gap after HS, Am I eligible for ericsson and wipro. Sir, I have passed class 10th in 2009 and class 12th in 2012 (on reattempt) as a private candidate. I was failed in class 12th in 2009. Whether I’m eligible to take part in tech Mahindra off campus placement drive. Sir, I m ME Communication student..Can I appear AMCAT ..
Hello Arun, In Current Placement Scenario Many IT Companies Needed at Least 60 % in Academic. However Many Organizations have their own eligibility Criteria Regardless the 10+2 Percentage you can try. Sir i secure 54.5% in 10th and 59% in 12th and my cgpa is 71.6% .can I appear for Infosys,wipro,TCS or any software company?plz give me a suggestion ? Hello Sai Tej, Each Company have their own Eligibility Criteria. Most Companies Requires 60% in Academics, so you can choose according to your interest. I’m passed out in BE batch 2012 with aggregate 62% , so I’m eligible for company. On marks basis, you are eligible for almost all the MNC companies. Perform better in interview and written test. I have got 66%in 10,72% in 12 and 59.6%in BE and i have one year experience in IT MNC company, did i have chance to move other MNC companies or not? I am.pursuing BE 3rd yr EE .i got 82% in 10th , 68 % in 12th but till 2nd yr i got below 60% .sir what should i do now..plz respond sir…. Give AMCAT exam to get company calls. How many chances to get a call after giving amcat exam..
Sir I have 85% in 10th, 55% in 12th and 7.1 cgpa till Now. Am I eligible for the campus recruitment. need at least 60% throughout. how can i apply off campus for microsoft? What is the Eligibility criteria of mintree for 2018?? What is the Eligibility criteria of mintree for 2017?? Sir my 10 & 12 percent are 62 & 56.2 and in b.tech 70.2 % can i match the criteria of any company ? i have 59.8% in 12th and 63% in 10th and my b.tech cgpa is 70% .can I appear for Infosys,wipro,TCS?plz give me a suggestion ?? i have year a gap between 10th and 12th.but my marks above 60% in both. Am i egligible for any company. Sir I have 60% in BE 73% in 10 and 59.23% in 12 am I eligible for companies like tcs infosis etc. I have 48 in 10 and 56.2 in 12 but in bca I have 70 up to 6th sent now, tell me about the elligble companies. Sir I have 60% in Bca , 48 in 10 and 56 in 12 am I eligible for any companies. sir i have 67% in 10TH and 55% in 12th and in 6th SEM my CGPA is 7.6 am i elligible for companies like infosys, wipro,Accenture etc. sir i have got 55% in class 12 cbse board?now i am continuinng btech 3rd year and i am scoring like 7 sgpa in semesters is there chances for placement?could you say which all it companies? Keep it above 7 and work on communication skills. can you tell me which all companies i can try for? Will I eligible for most mncs regard 12th eligibility criteria? Sir if I have a good AMCAT score, will my 10,12 and graduation % matter to appear in off campus placement drive? Sir i have 73% in 10th, 53% in 12th and 7.04 cgpa till 6th sem in computer engineering. So am i eligible for any mnc which will coming in my college campus for placement. Sir please help me , i am a 7th sem student of engineering, and it’s my campus time but I have less than 60% in 10th , but in 12th and engineering I got more than 70%. Sir please tell me about companies in which I can go for. Mee too having that same problem. Can you please reply us regarding this matter..
Sir i am in my seventh semester pursuing computer science and engineering.i am i eligible to attend off campus interview?give me some guidance. …..if any company want this eligibliy…. Aggregate 60% in engineering means 60% in final year or 60% in each semester?? Sir,I am EEE student.my 10 result is 10 cgpa and 12 result is 55.5% and b.tech 1st Sameaster result is 7.69 gpa.If i maintain this to 7th semester. Am i eligible for placement in Huewei ?? Yes, maintain this cgpa, you will be eligible. Hii T Ramu, It depends for which company you are going to appear. Hii Ramu, it depends for which MNC you are applying? Sir, i have secured 76% in class 10th and 56% in class 12th. can i get a job in software companies?? , Is there any scope for me to get a better job. Hii Amiya, what is your degree qualification? Sir i have 56% in 10th, 65% in diploma and 7.04 cgpa till 5th sem in computer engineering. .So please tell me sir am i eligible for IT companies like infosys,wipro,HCL ETC AND MNC.